This year has been quite eventful for Europe in terms of storms and supercells. After coming back from a rather dull weather experience in May I saw reports on Twitter of amazing supercells over western Europe with baseball sized hail etc. I really have no tools or knowledge on how to chase in Europe, and don’t have a car either so I was never really close to go chasing but I enjoyed the photos and videos I found. July and August has been quite eventful in Sweden as well. Usually the reports on “tornadoes” are tiny waterspouts and almost always from the west coast of Sweden where they feed of the warm water and quickly die off once they come ashore, sometimes after messing up someones garden furniture. Here in Stockholm (which is on the east coast) we quite rarely get thunderstorms (I, personally, experienced one last year) and, just as the rest of Sweden, very rarely get any supercells. I couldn’t find any data on this but it just don’t happen in my neighbourhood. So, when I woke up yesterday from a quite intense thunderstorm I was quite happy since it is so rare. I opened the windows in order to really get the sound into my apartment and enjoyed the view – even though I was in a rainy mess so I didn’t really see much. This morning I read in the newspaper, however, that this was actually a supercell that passed over us! I don’t really know exactly how rare this is but my guess would be once a decade at most. 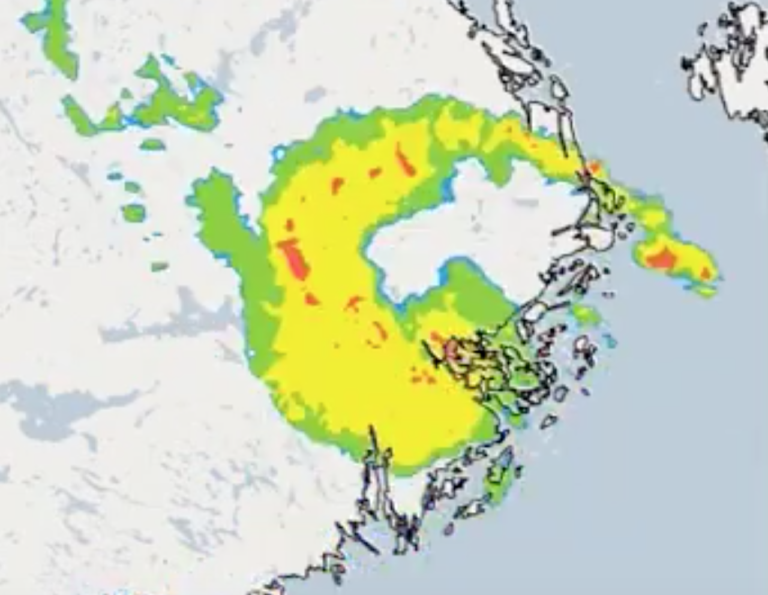 Interestingly enough there was a quite large waterspout (in Swedish terms) filmed in the Swedish archipelago, that was based from this storm as can be seen here. Now, this is all quite interesting but to make matters more interesting it was, by a weird chance, filmed by one of our major ski stars: two time olympic champion Pernilla Wiberg. I was quite excited to get a bit of a glimpse of the weather I go to find in the US every year. I am still hoping to see a tornado, or at least water spout, in Sweden once but that will be very tricky!